Ramstad, 61, stepped to the podium with his wife, Kathryn, and announced that he was retiring at the end of his ninth term. "After 17 years of getting on the plane every Monday and not coming back until Friday, I'm burned out," Ramstad said. "I still have the passion for policymaking, I still have the passion for politics but I want to be home." Ramstad is the senior Republican in Minnesota congressional delegation and serves on the powerful House Ways and Means Committee. He's also a recovering alcoholic who has championed addiction issues while in Congress. He has both served as a sounding board on legislation and a mentor to those who battle the addiction. Ramstad said there is no political rationale behind his decision to retire. He said he made his decision last month and targeted his announcement so potential candidates could prepare for a "wide open race." Fourth District Congresswoman Betty McCollum said she's sad to hear of Ramstad's decision. McCollum, a DFLer, said Ramstad gave her advice after she was first elected to Congress in 2000. McCollum, who was informed by reporters of Ramstad's decision prior to the official announcement, said Ramstad will be missed. 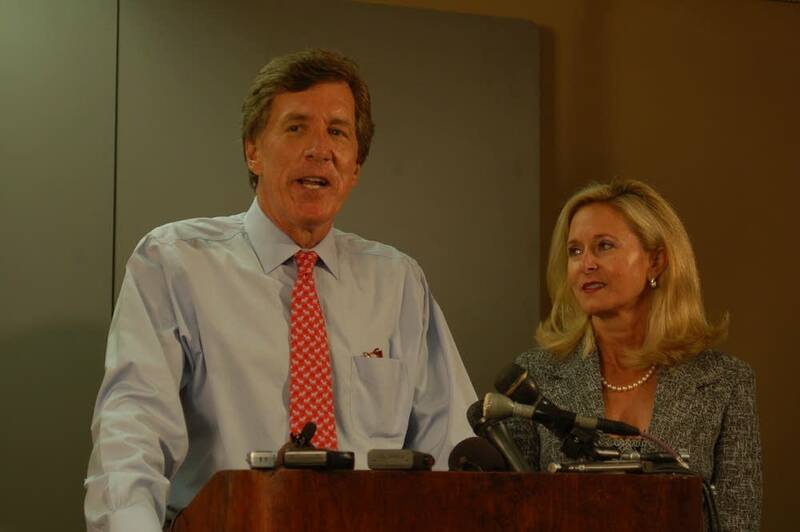 "Losing a wonderful, thoughtful Minnesota-first guy like Jim Ramstad to our delegation will not only be missed here at home, but missed nationally," McCollum said. U.S. Rep. Betty McCollum, DFL-Minn.
McCollum called Ramstad "a politician who worked with members of both parties to get things done." That may be one reason voters elected him with greater than 60 percent of the vote in every one of his congressional elections. 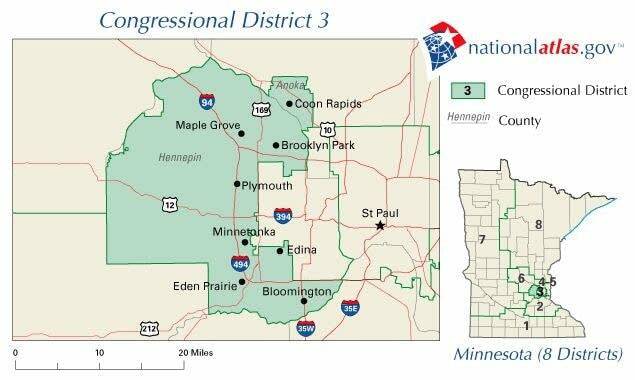 The other reason may be that his politics fit a district that includes the south, west and northern Minneapolis suburbs. Ramstad has been a fiscal conservative who championed tax cuts, but is a social moderate who supported legalized abortion and embryonic stem cell research. Ramstad predicted that the candidate who replaces him will also have to bridge the partisan divide. "This seat has come open every 18 to 20 years historically so a lot of people are saying 'now is my chance if I'm going to do it in my lifetime and make a run for this.' I anticipate a broad field," said Republican Party Chair Ron Carey. Carey says he thinks the seat will stay in GOP hands, especially since it has been a traditional Republican stronghold. But the DFL Party has been making gains in recent years which makes DFL Party Chairman Brian Melendez optimistic. Melendez says Ramstad won lopsided elections with help from many Democrats who respected his centrist approach to politics. "If you look at the district's voting history, we've picked up, I think, nine legislative seats in that congressional district just in the last two cycles, a couple of seats in the Minnesota Senate, seven seats in the Minnesota House. And it's a district that Amy Klobuchar won by 56 percent of the vote. So I think there's great optimism here that Democrats might pick up the seat," he said. Melendez says the DFL needs to put up a candidate who would vote similar to Ramstad and who, like Ramstad, would work across party lines. Political analyst Larry Jacobs, from the University of Minnesota's Humphrey Institute, agrees that Democrats have a chance at taking the 3rd. "I think it's really a challenge for the Republican Party," he said. "Are they going to replace Jim Ramstad with a candidate who can work across party lines like Jim Ramstad and who seems to be such a good fit for that district or are they going to put up more conservative kind of candidate that might be more to the liking of the party activists who have so much sway in the Republican Party but in fairness in the Democratic Party as well?" Ramstad says he will continue to work to pass legislation that he's been championing for several years. He hopes legislation that would require equal health insurance coverage for mental and physical illnesses, when policies include both will become law. He said that would be his proudest legislative accomplishment if it does.